The British School of Beijing, Sanlitun (BSB Sanlitun) has announced the details of its new science, technology, engineering, arts and mathematics (STEAM) curriculum, developed in collaboration with one of the world’s most influential universities, the Massachusetts Institute of Technology (MIT). The new approach to STEAM will see students benefit from an educational approach honed in one of the world’s leading higher education institutions. Students will adopt a multidisciplinary approach to learning and problem-solving with a focus on developing robust intellectual curiosity for real-world application. It is this sense of curiosity and exploration that underpins much of MIT’s approach to learning. students will be encouraged to question their world, identify problems and come up with solutions for their community all with the guidance of MIT staff. BSB Sanlitun students will be challenged in three phases to solve a real-life problem facing their local community. First, students will have to describe what makes them curious in order to stimulate inquisitive thinking. In the second phase, MIT will challenge students to identify and describe an environmental problem in their city and the impact on the overall health of the city including air, food, water, energy, transportation and waste. They will then use the skills they learned through the guidance of MIT experts and STEAM teachers to question and delve deeper through research, analysis and the collection of data. The final stage will focus on addressing the problem and creating a solution which students will present at MIT. The curriculum develops transferable skills students will need in order to meet the challenges and uncertainty of the future workplace. Traditional schooling with siloed academic subjects does not adequately prepare students for the fast pace of technological change in the modern world. 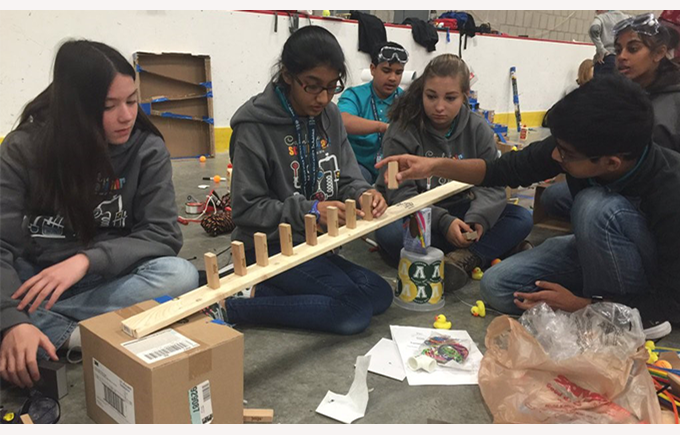 believes that a curriculum based around STEAM will encourage interdisciplinary learning, and will help students develop transferrable skills such as creativity and advance problem-solving for jobs of the 21st century. The collaboration also entails professional development at MIT for STEAM discipline teachers at . Teachers will have an opportunity to attend annual workshops at MIT which will expose them to the latest thinking, research and tools in STEAM. teachers will also learn new ways to support student creativity, invention, reflection, risk taking and perseverance through the termly STEAM challenges.teachers have already completed their professional development this summer at MIT with workshops about combatting climate change, food production technologies, city planning and gaming among other topics. Finally, the collaboration between and MIT will provide teachers and students with the annual opportunity to visit the respected university. 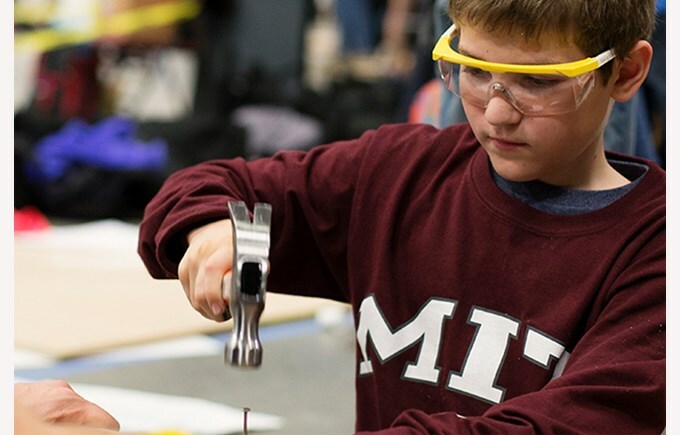 While at MIT, they will participate in a range of STEAM related activities, such as robotics, coding, and bioengineering among other things. 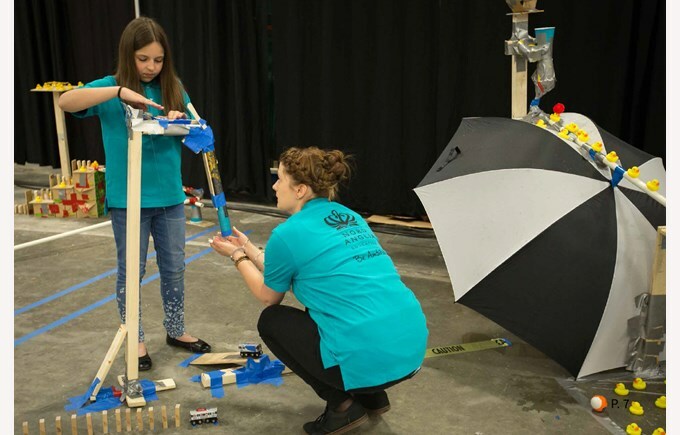 Students will also have the opportunity to interact with, and learn from, some of the world’s most renowned academics in the subjects of STEAM. This will ensure that students are exposed to the thinking and philosophy underpinning an institution at the vanguard of STEAM education.